As more organizations focus on return on investment (ROI), implementing an effective learning and development (L&D) strategy to aid engagement and retention has never been more important. Employers that place a high value on equal opportunity and continuous learning are best positioned to attract a wide pool of talent to retain valued employees. So, how can businesses support the progression of employees to positively impact job satisfaction, productivity and commitment in the workplace? According to jobs site Glassdoor, the main reason people leave a job is to go to a company with a better culture and development opportunities. This makes it essential for companies to showcase what they can offer top talent from the start. To tempt people to your business – rather than your competitors’ — management should provide detailed job descriptions, which clearly communicate prospects for training and development to everyone. 87% of millennials rate “professional or career growth and development opportunities” as important to them in a job, so introducing a rotational scheme for those entering your business can be a good way to make your company stand out from the crowd. Increasingly, your business’ commitment to employee advancement will be recognized, either by word of mouth or through feedback on sites such as Glassdoor. As a result, universities and recruiters may actively promote your organization to ambitious graduates based on the quality of your training and the strength of your company’s reputation. For businesses looking to improve retention, efforts should be focused on proactively talking with current and prospective staff about their aspirations for progression. The better informed an organization is, the more equipped they will be to tailor their learning activities to the needs of its workforce. Businesses must be wary about dictating which training employees should pursue. Employees should feel encouraged to identify which individual areas they need training in and what will be most valuable to them in the long-term. There are several methods for this, the easiest of which is normally to conduct an internal survey to accumulate opinions. While some employees will inevitably choose not to take part, it will give you a good overall view of areas for improvement. Another option is to conduct focus groups or speak to managers to obtain feedback from their own teams or individuals. You may be able to achieve better insight here too, as a chat with a manager may garner more in-depth, personal information than a check-box survey. A 2017 study by Heidrick & Struggles found mentorship is a beneficial and impactful practice, particularly for women and minority employees. L&D is a process, not a test to pass or fail and the merits of training – for professional development, fulfilling career aims, more effective day-to-day work – need to be conveyed by managers to motivate employees. 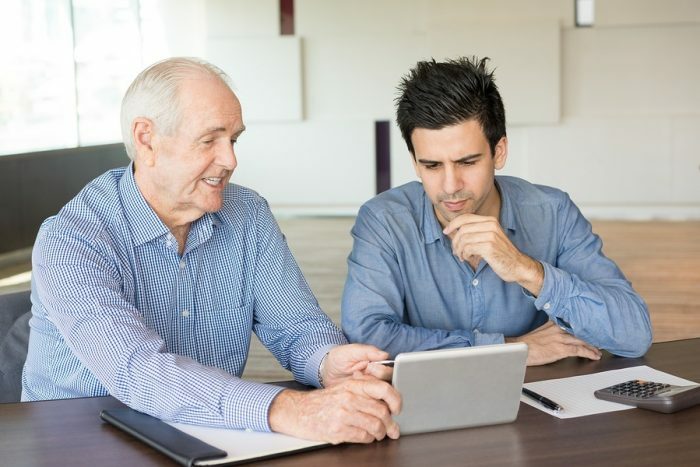 Developing a formal mentoring program allowing incoming or junior employees to be paired with senior executives – or those with different skill-sets – can create effective connections and enable them to learn from their past experiences. Of equal value is “reverse mentoring,” which involves collaborative, informal training among different employee generations. This offers an opportunity for businesses to broaden and grow some of the skills of all employees in an inexpensive and time-efficient way. HR teams can help by encouraging and facilitating these opportunities among staff. One way to do this is by introducing “inclusion allies.” These are designated executives who support and advocate for people of different workplace demographics, to create a positive and progressive working environment. When developing an L&D strategy, managers need to consider the disposition of each learner and take into account diversity and generational differences in the workplace. For example; according to a 2011 PwC report, just 6% of millennials said they would predominantly value formal classroom training. Younger Gen Z employees are typically more comfortable with technology so may be receptive to online courses. However, while millennials and generation Z are set to make up half the workforce by 2020, you still need to cater for the older demographics, who may prefer more formal training structures. These strategies should not be seen as “fixed” for each generation though, as every individual has their own unique preferences when it comes to how they learn best. Businesses should prepare for this by introducing a mixture of training options, from independent advancement, group tasks or peer-to-peer learning. One study on workplace training discovered while 62% immediately applied their learning to a role, only 44% were still using what they’d learnt after six months, falling to just 34% after one year. Participants are often assessed as competent in a training room environment but still need considerable time and assistance to transfer learning to their roles. The success of results cannot be fully assessed until it’s clear staff are confident using their new skills. But how can businesses know when that point has been reached? Encouraging ongoing feedback through employee surveys, focus groups or an internal, online forum, is a good way to start calibrating such insights. Managers should also be tracking performance through agreed KPIs and regular one-to-ones with staff to check on their progress. Employees need to feel valued by employers, who can achieve this by delivering a diverse and flexible training program. If your strategy is successful, you will not only see strong ROI, but improved retention and engagement throughout the business too. Fredrik Högemark is the CIO and founder of findcourses.co.uk and EMG – Educations Media Group. Today, EMG is the market leader of education marketing and operates the world's largest search engines for education and training. With the vision of helping everyone in the world find the right education, it partners with over 4,000 education providers and helps over two million students in their search for education each month.